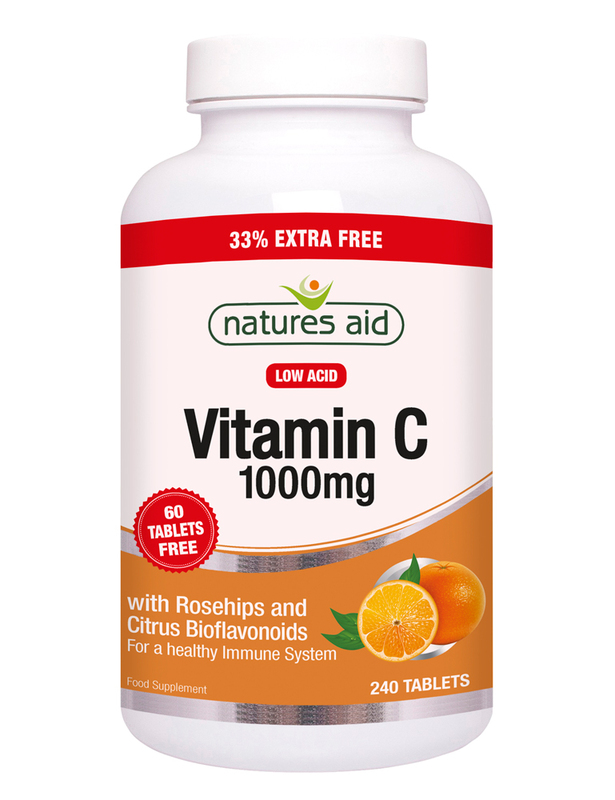 Natures Aid Vitamin C 1000mg Low Acid Tablets have been developed in their own laboratory to a formula which reduces acidity by being buffered with mixed mineral ascorbates. 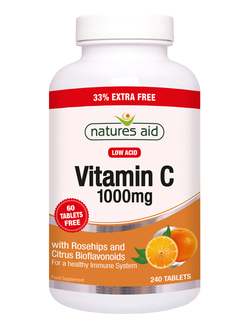 Vitamin C is not stored in the body and a daily intake is essential for the maintenance of good health and a strong immune system. Vitamin C is easily destroyed by the over cooking or long storage of fresh foods, or as a consequence of heavy smoking or drinking. Vitamin C (as Ascorbic Acid, Sodium Ascorbate and Calcium Ascorbate), Microcrystalline Cellulose, Di-Calcium Phosphate,Rosehip Powder,,Citrus Bioflavonoid Prep. (Citrus Bioflavonoids, Maltodextrin), Hydroxypropylmethylcellulose, Anticaking Agents (Silicon Dioxide,Vegetable Source Magnesium Stearate),Maize Starch.